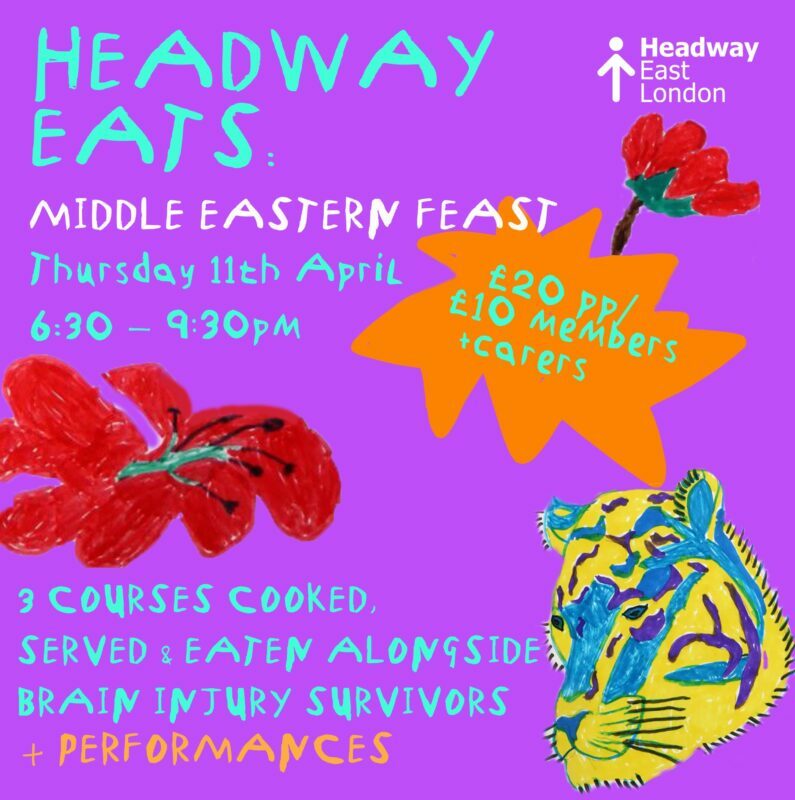 Spring has finally sprung and we're kicking off this year's Headway EATS with a bang - a Middle Eastern feast! Inspired by the heritage of one of our members, you can expect a menu packed with Persian delights including pomegranate, borek (a Middle Eastern Pastry) and lamb. Headway Eats is a relaxed dining experience led by a group of brain injury survivors who are (re)discovering talents and skills. The menu has been developed and prepared by the team over a number of weeks, using fresh ingredients. We think the finished result rivals other professional offerings across the city, and offers something very unique. We were thrilled our supper club was recently nominated for the Foodism 100's 'Best Social Enterprise Award 2019'. We cater for all dietary requirements! Please email Rosy at support-us@headwayeastlondon.org to let us know.